I’m pretty sure everybody knows by now that NYX has landed in Boots and its like the best thing ever. Every time I go to Boots I seem to pick up something new, its like a mini treat to myself. I recently picked up two gorgeous dusky pink shades that I’ve been lusting over for a while now. First up is the NYX Lip Lingerie in the shade Bedtime Flirt. As soon as I saw this I knew it had to be mine. The Lip Lingeries are a series of liquid lipsticks NYX bought out not too long ago, and I think they look pretty similar to the Kylie lip kits. As I’ve mentioned, this is a lovely dusky pink shade and looks very natural on the lips. It does dry matte so it can be kind of drying, but as long as you’ve applied a good amount of lip balm before hand you’ll be good to go. It also doesn’t leave an awkward line like a lot of liquid lipsticks do, so all in all I love this shade. If you prefer something less matte then the NYX Butter Glosses are for you. I picked up the shade Angel Food Cake. Lets take a moment to appreciate this, ugh its so gorgeous. This is probably more of a dusky mauve but I’m obsessed with that. The butter glosses are so moisturising and not at all sticky, which is such a bonus because sticky lip gloss is a no go. It applies so nicely and leaves a gorgeous shine to the lips. I’d really recommend this for every day wear, and if you like your glosses then this is the one for you! 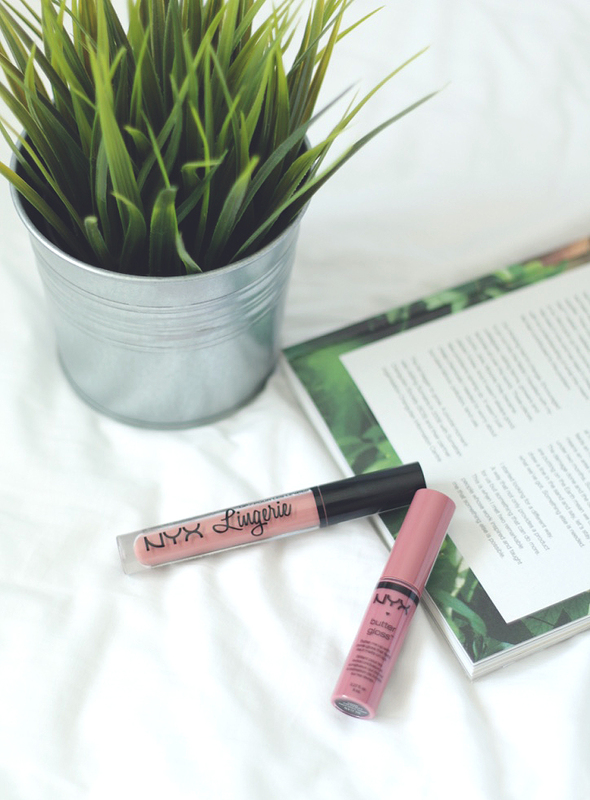 What is your favourite NYX lip product?